From finish stitching to shaped canvases, there are many different ways we can finish any project you have. 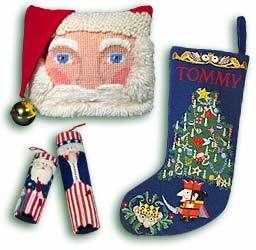 Try needlepointing a belt or eyeglass case design, or even a basket cover - we will do the finishing for you. Whether you just want to personalize your project - or turn your own designs into a custom-painted canvas, our expert staff of painters and letters can do the job. 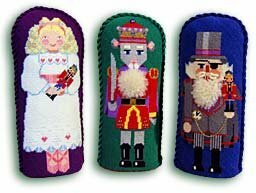 Christmas stockings are our specialty - from custom designs and lettering to specialized finishing services - we can help you create an heirloom that will be treasured for years to come.